Global Contexts (pp. 105-116). New York, NY: Routledge. Kasztalska, Aleksandra. (2015). “Slavic Blood” and “Flow”: Language and Nationalism in Polish Hip Hop. In J. Pelkey, S. Walsh Matthews, & L.G. Sbrocchi (Eds. ), Semiotics 2014: The Semiotics of Paradox (p. 361-371). Ottawa, Canada: Legas. Kasztalska, Aleksandra. (2014). The Impact of English on Contemporary Poland. World Englishes, 33(2), 242-262. Kasztalska, Aleksandra & Madrid, Elinora. (2010). La Poésie d’expression creole. In Kress, D.A. (Ed. ), Anthologie de poésie louisianaise du XIXe siècle (229-231). Les Editions Tintamarre. Kasztalska, A., & Swatek, A. (2018). The Ideological Underpinnings of the English Matura Exam in Poland. Paper presented at the 2018 Meeting of the American Association for Applied Linguistics, Chicago, IL. Kasztalska, A., & Swatek, A. (2017). 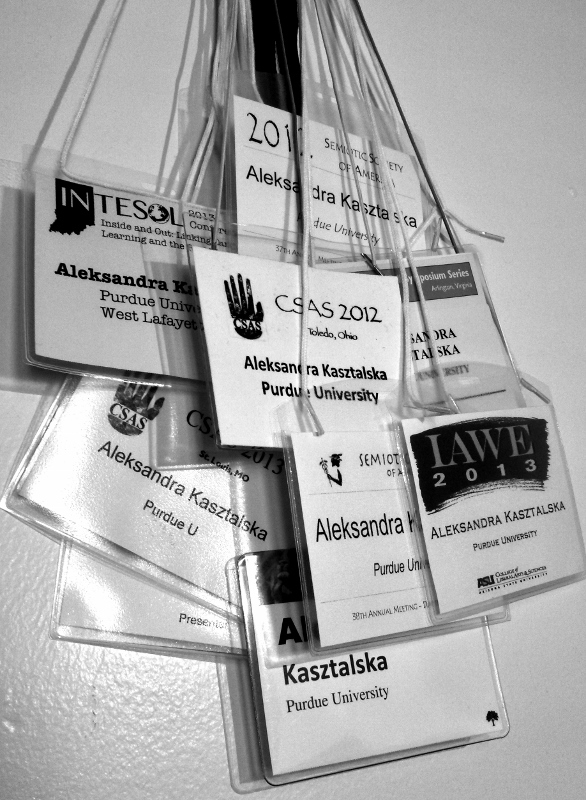 Multilingualism and Native Speaker Bias: the Case of the English Matura Exam in Poland. Paper to presented at the Politics of Multilingualism: Possibilities and Challenges Conference, Amsterdam, Netherlands. Swatek, A, & Kasztalska, A. (2016). “Write an E-mail to Your Friend in England”: Assessment of the Written English Matura Exam in Poland. Paper presented at the Annual Meeting of the Midwest Association of Language Testers, West Lafayette, IN. Kasztalska, Aleksandra. (2016). The Impact of World Englishes on the Professional Identity and Pedagogical Practice of International Teaching Assistants in the Composition Classroom. Paper presented at the Annual Meeting for Applied Linguistics, Orlando, FL. Kasztalska, Aleksandra. (2015). “Polish Your English with Donald”: Satirical Use of English in Polish Internet Memes. Paper presented at the 8th Central and Eastern European Media and Communication Conference, Zagreb, Croatia. Kasztalska, Aleksandra. (2014). “I wanted an English teacher”: ITAs’ Struggles as Non-White, Non-Native English Speakers. Paper presented at the 39th Annual Meeting of the Semiotic Society of America, Seattle, WA. Kasztalska, Aleksandra. (2013). Why Johnnie Can’t Read About Poland – Absence of Central and Eastern European Voices in Mainstream ELT Discourses. Paper presented at the Annual Meeting of the International Association of World Englishes, Tempe, AZ. Kasztalska, Aleksandra. (2013). Doth Cake Be False and Other (Pseudo)Archaisms in Internet Memes. Paper presented at the Annual Meeting of the Central States Anthropological Society, St. Louis, MO.